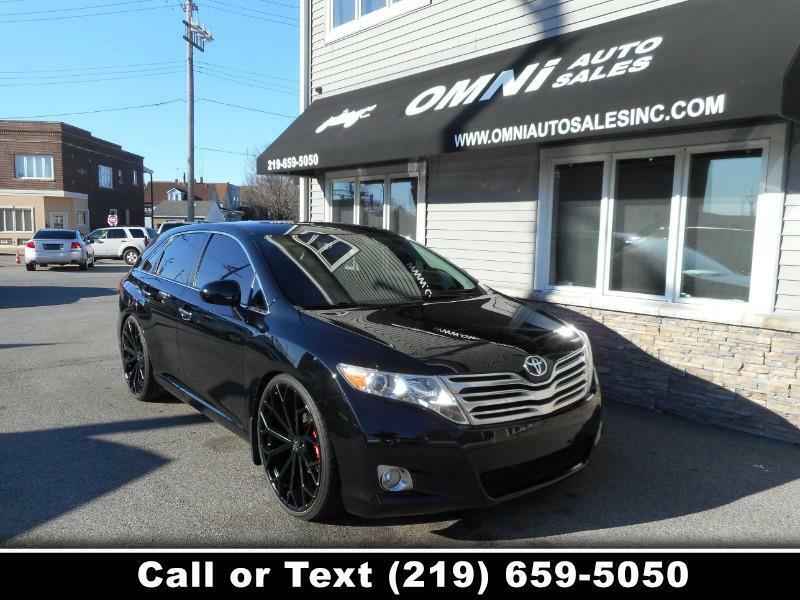 Stand out from the crowd in our 2009 Toyota Venza AWD Crossover! Powered by a 3.5 Liter V6 offering plenty of power while mated to a 6 Speed Automatic transmission. This All Wheel Drive combination supplies you with the agility to merge and pass, all while earning nearly 25mpg on the highway. A rear spoiler, alloy wheels, wrap-around tail lights, and fog lamps all combine to create a good-looking vehicle. The inside of this Venza features a wealth of amenities that you will be bragging about for years to come. Settle into leather heated front seats, admire the beautiful woodgrain accents, and bask in the power sunroof. With power accessories, audio controls and phone connectivity on the leather-wrapped steering wheel, an AM/FM/CD/MP3 player, and a rear DVD entertainment system, you and your passengers will love this Crossover. Toyota works hard to keep you and your family safe from harm. ABS, a backup camera, automatic headlights, LATCH for child seats, vehicle stability assist, and an army of airbags grant you peace of mind. You can be assured of comfort, style, and safety inside this sleek and sporty Toyota Venza! Print this page and call us Now... We Know You Will Enjoy Your Test Drive Towards Ownership!